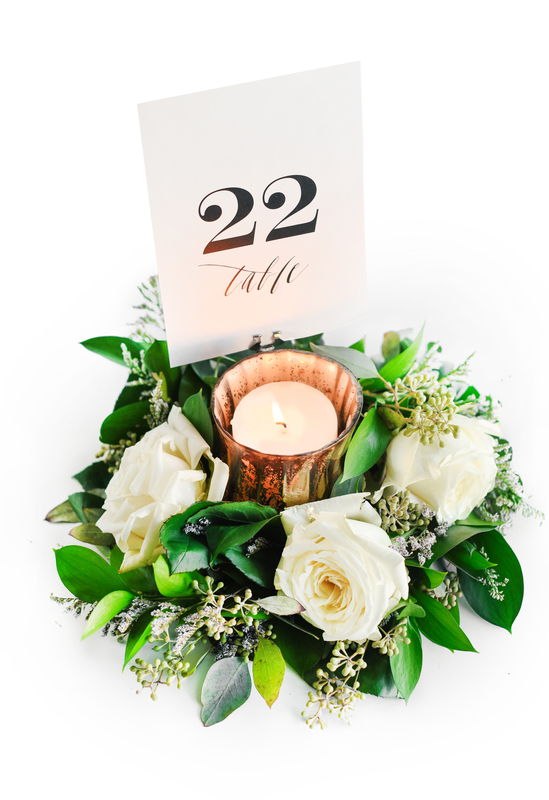 This gorgeous floral centerpiece will surely be the star of any wedding tablescape! 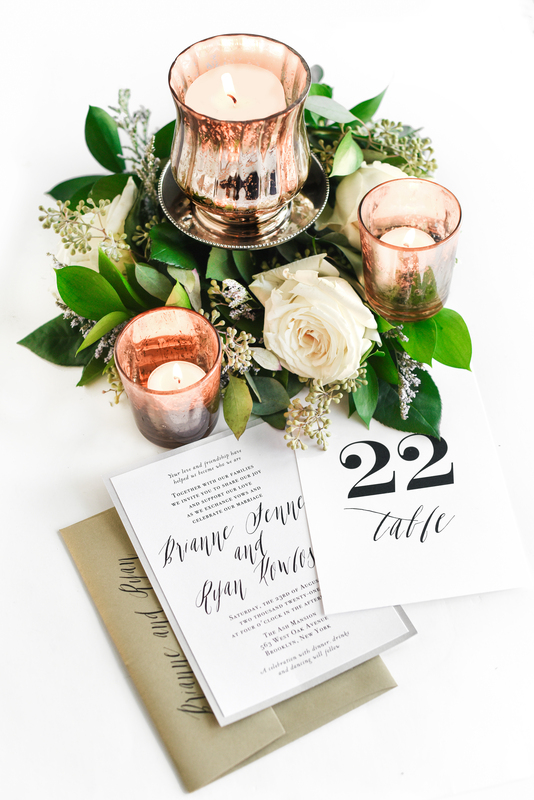 I teamed up with Beacon Lane to design a DIY inspired by their Modern Calligraphy invites, Looking amazing at backyard and outdoor weddings to bridal showers and more, we love the customization these centerpieces offer. I’ll walk through the steps to create a greenery wreath, plus various styling options – choose whichever option suits you best! And it’s not JUST for brides – these look amazing at other events, showers and more! 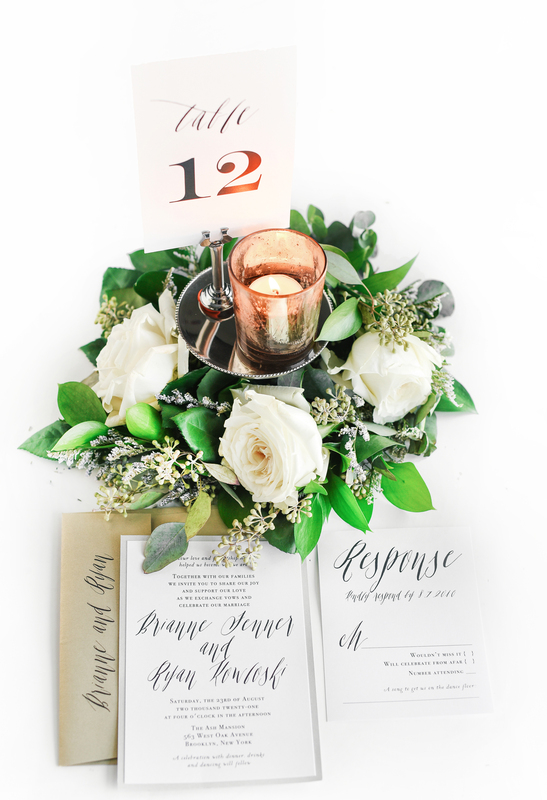 We love mixing textures in florals – the eucalyptus, assorted greenery and creamy roses provide a sophisticated blend of color and shape. 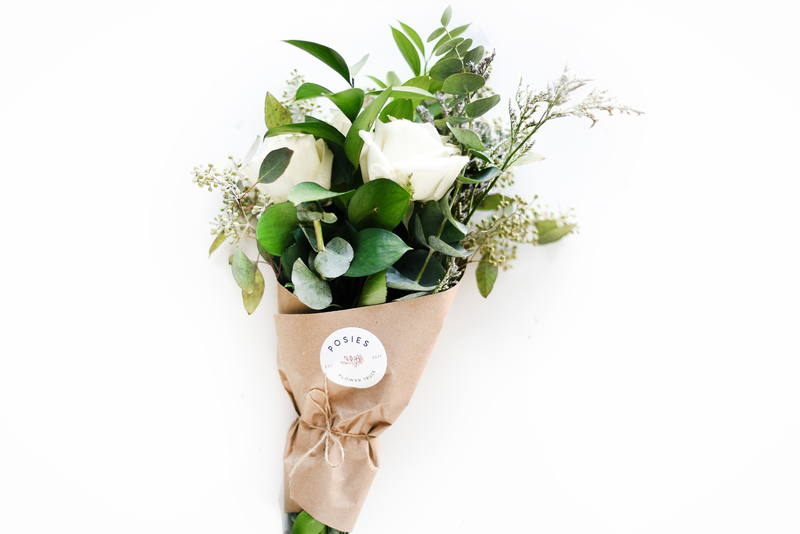 Choose blooms that compliment each other, or go with an all-greenery scheme for a neutral palette. Special thanks to Posies Flower Truck for the beautiful blooms! Spread the love and follow them on IG! Also, if you are a bride in the Tampa Bay, Florida area, be sure to contact them as they offer custom events for weddings! Follow along on the Beacon Lane blog for the full tutorial! Enjoy, crafters!